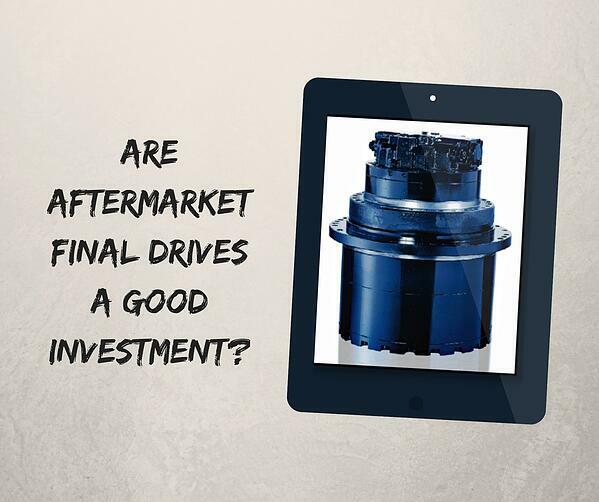 Are Aftermarket Final Drives a Good Investment? http://info.texasfinaldrive.com/shop-talk-blog/replacing-a-final-driveWhen you need a final drive, you are looking for a price that can fit your budget -- but you still need a quality drive that will last. There are off brand drives that you can buy that may be cheaper, but is that a good idea? In this Shop Talk Blog post, we’ll talk about whether non-OEM final drive motors are a good investment for your equipment. When your final drive fails, you have some different replacement options: an OEM (original equipment manufacturer) replacement, a rebuilt / reman replacement, or an aftermarket replacement. If you have the money, an OEM replacement might be right for you. However, depending on the type of final drive that you need, there may be a delay in getting a final drive through the OEM. OEM final drives also tend to be more expensive than the other options listed. If you are on a budget or in a hurry, you might want to look at a rebuilt / reman final drive or a aftermarket replacement. What is an Aftermarket Replacement? An aftermarket replacement final drive is one that isn’t sourced by the original equipment manufacturer. It will be a different brand from machine and from the original final drive it came with, but will still be compatible with your machine. What Are the Benefits of an Aftermarket Replacement? Aftermarket replacement drive motors are typically less expensive than OEM replacements and have equal or better quality (but not always -- we’ll talk about that in a minute). They can also be easier to find for some models of equipment. If you have a machine that can be hard to find a final drive for, pursuing the aftermarket option can mean that you might be able to get your hands on a replacement final drive faster than, say, an OEM or rebuilt final drive. That, in turn, means you’ll be up and running again more quickly, which can save you money and downtime. What Are the Risks with an Aftermarket Replacement? Most aftermarket replacements have quality equal to or even better than the original OEM final drive motor, but not all. There are some brands that just don’t measure up, usually because they use inferior components. Most final drive shops are well aware of what these brands are and will avoid them. How Do I Know if an Aftermarket Replacement is a Good Deal? Honest final drive shops will not knowingly sell poor quality aftermarket final drive motors, and neither will smart ones. Bad final drives will earn a shop a bad reputation. Here at Texas Final Drive, we avoid any aftermarket manufacturers that are known for using inferior parts. One of the brands of aftermarket final drives that we strongly recommend is Eaton. 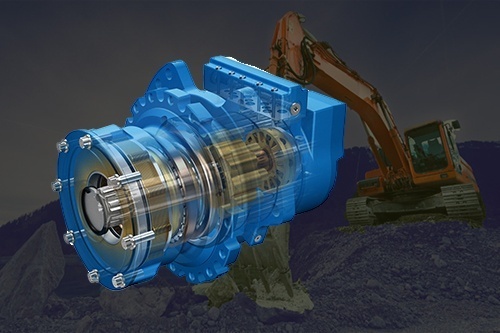 Eaton is the OEM hydraulic motor and final drive supplier for several makes of heavy equipment and construction equipment, ranging in size from skid-steers to full-size excavators. They also make aftermarket final drives that are known for quality, dependability, and excellent performance. There’s a good chance that you can find an Eaton final drive for your machine. When it's time to replace your final drive, remember to consider all your replacement options. One of those options is an aftermarket final drive that can offer the same (or better) quality than the OEM at a lower price. In many cases, you can find an aftermarket replacement more quickly than an OEM replacement. Call us today to see what we have to offer in the way of aftermarket final drives for your machine.